The gallery is open Tuesday-Friday 12-5pm and Saturday 12-4pm. Galleri Brandstrup Oslo was founded by Kim Brandstrup and Marit Gillespie in 2000 at the historic site of Madserud Gård in Oslo. In March 2010 we were the first gallery to move to Oslo’s new gallery district, Tjuvholmen, where we are still located. In addition to representing a range of the driving forces within Nordic contemporary art, we pride ourselves on working with some of today’s most groundbreaking and internationally renowned artists. The gallery represents Marina Abramović and Joseph Kosuth in Scandinavia, a result of our close collaboration with the Sean Kelly Gallery in New York. All of our artists are represented with conviction based on their unique conceptual and visual expression. The gallery displays monthly exhibitions year around in our gallery space. We also organize projects and shows with museums, foundations and other galleries. Aditionally, the gallery participate in art fairs; the past years we have been showing at The Armory Show, Art Dubai, Art Brussels and CHART Copenhagen. In 2011, Brandstrup organized an exhibition by Mark Quinn, alongside White Cube Gallery in London and Kistefos Museum (Norway). A few of our most notable museum collaborations is Fredrik Raddum´s solos show “Get Lost” at Aaros (Denmark) in 2011, Marina Abramović´ “Entering the Other Side” at Kistefos Museum (Norway) in 2014, and the upcoming exhibitions by Sverre Bjertnes at Haugar Vestfold Kunstmuseum (Norway), Håkon Bleken at Hennie Onstad Museum (Oslo, Norway) and the late Per Kleiva´s memorial exhibition at Kunstnernes Hus (Oslo Norway). 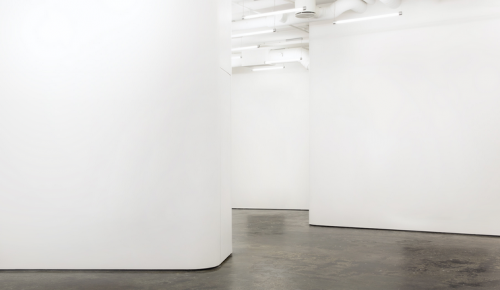 We have displayed solo exhibitions with John Baldessari and Kohei Yoshiyuki in joint efforts with Sonnabend Gallery, Marian Goodman Gallery, Turid Meeker Contemporary Art and Yossi Milo. We provide contemporary art in public and private spaces. We emphasis on site-specific and thematic alteration, in collaboration with in-stall or out-sourced artist. The essential components in our site-specific projects are planning and production, with a consistent regulation throughout the process. We work in close collaboration with our artists, the clients and potentially architects, interior designers and landscapers. One of our memorable site specific projects is Joseph Kosuth´s “A Monument of Time” at Krona Kultur og Kunskapssenter in Kongsberg, Norway. The project is the largest scale commissioned contemporary art project in Norway, where 136 neon elements are integrated in the walls as a tribute to the towns history. Other memorable site-specific projects is the large scale bronze sculpture “Woman Seeking the Wind” by Kjell Erik Killi Olsen in Vilnius, Lithuania, and Fredrik Raddum´s installation “The Sky is the Limit” at Skatt Øst, for the Norwegian Ministry of Finance. In 2014, Galleri Brandstrup along with Eli Lilleng Ertvaag formed our sister gallery BGE Contemporary Art Projects in Stavanger, Norway. Please visit www.bgeart.com for further information.